The Physical Button On The Left – The physical button in the leaked image hints towards the possible debut of Samsung’s new AI - Bixby. The AI seems to respond with a press of the button and might feature both male and female variants. Further, it has been said that Bixby will support third party service integration and control native apps as well. 18 : 9 Display Aspect Ratio With No Home Button– The phone seems to feature an 18 : 9 display aspect ratio with no physical home button. The device is further expected to feature a 5.7 inch screen size with FullVision display. The Iris Scanner At The Top – As seen in the image, one of the circles at the top might be the integrated iris scanner which has already featured in the Note 7. Rumours suggests that Bixby will support image recognition and image search with the help of front facing camera and will also help in enforcing rich security measures using Iris Scanner while making transactions. 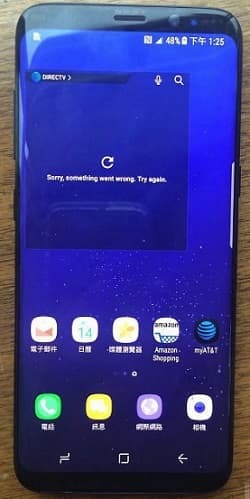 Another leak which has appeared in the Twitter, features both front and back side image of S8 with some arbitrary listed specifications. Though some of them might be true, the image provides only one positive information which is the rear view of the phone with a glimpse of the cameras. Apart from all these recent rumours, the device has been tipped to feature the newest Qualcomm Snapdragon 835 chipset with 4 GB or 6 GB RAM. An internal storage of 64 GB is also expected that might extend up to 128 GB on micro SD. 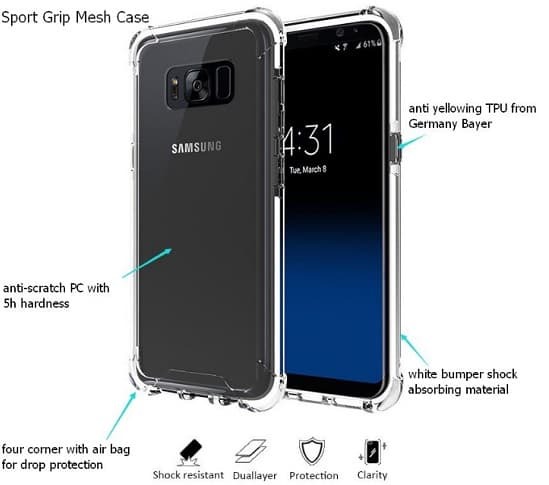 Battery Performance should also improve as Samsung has started adopting 8 point safety check and it might feature a 3250 mAh battery. Though, none of these features has been validated yet, the enthusiasm of the people with the increasing amount of leaks reflects their huge expectation. After Note 7, S8 will be the next big release from the house of Samsung and only time will tell whether the device stood up to the people’s expectation. This image also confirms the presence of (supposed to be AI Bixby button) physical button.